Toyota Solara Repair & Service - A+ Japanese Auto Repair, Inc.
Drive a Solara? We are experts at servicing and repairing your Toyota Solara. Contact us today for an appointment. 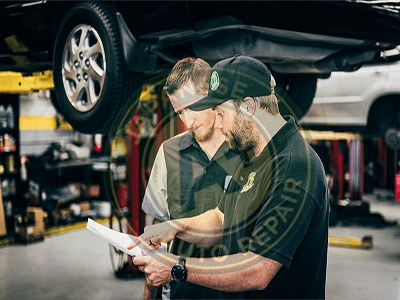 Alternatively, stop by and speak with one of our ASE certified Toyota mechanics to answer any questions you may have and take a tour of our Toyota repair facility. The Toyota Solara (also known as the Toyota Camry Solara) was designed for drivers who preferred something sportier than the Toyota Camry sedan. The Toyota Camry Solara replaced the Toyota Camry coupe in 1999. By 2004 the Toyota Solara has already been redesigned into its second generation. A+ Japanese Auto Repair has seen many Toyota Solara vehicles over the years. Here in California we see more Toyota Camry Solara convertibles than anything else. However in 2008 Toyota took the Solara off of the model line-up for the coming years. Even thought this is the case we still have many clients bringing Toyota Solara vehicles to our facility. The Toyota Solara and A+ Japanese Auto Repair Inc. The second generation Toyota Solara is the most common Solara we see at A+ Japanese Auto Repair. The second generation Toyota Solara was released to the public in 2004 after being redesigned. This Solara had two engine available for the power train. The Toyota Solara engines that we specialize on are the 2.4 liter 4-cylinder engine which Toyota named the 2AZ-FE L4 or the 3.3 Liter 6 Cylinder engine known as the 3MZ-FE V6. A+ Japanese Auto Repair also specializes on the 4-speed or 5-speed automatic transmissions in the Toyota Solara. We have also replaced many clutches on the 5 speed Manual model of the Toyota Solara. We are experts when it comes to Toyota Solara Repair & Service. We started working on Toyota Solara vehicles when we opened in 1997. With numerous years of repairing the Toyota Solara we are now known as the best alternative to the dealer for Toyota Solara auto repair and service. A+ Japanese Auto Repair uses ASE Master Certified Auto Repair Mechanics and the same high quality parts as the dealership. We perform these auto repairs and services at a far better price than the dealership. We also offer a 24 month / 24,000 mile warranty on all auto repair and service performed on your Toyota Solara.ct us regarding any questions regarding your Toyota Solara Service Schedule. We look forward to helping you with any Toyota Avalon car repair and service you may need.